Hash aggregation and hash join are hash-based operations. Streaming aggregation and merge join are sort-based operations. 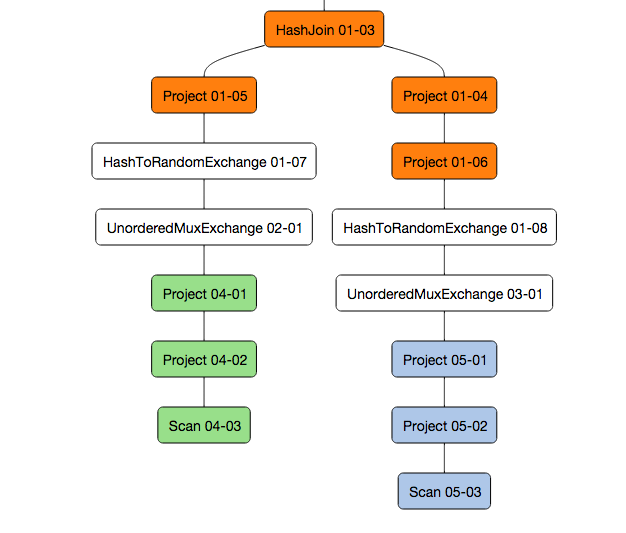 Both hash-based and sort-based operations consume memory; however, currently, hash-based operations do not spill to disk as needed, but the sort-based operations do. Test spill behavior of sort-based and hash-based operations. Know how to change the spill directory. Parameter "planner.memory.max_query_memory_per_node" sets the maximum estimate of memory for a query per node. If the estimate is too low, Drill re-plans the query without memory-constrained operators. By default, it is set to 2G per node. To make spilling happens easily, we will decrease it to 20MB in below case. drwxr-xr-x 3 mapr mapr     4096 May 16 18:49 ..
drwxr-xr-x 2 mapr mapr     4096 May 16 18:49 . Let's reduce DRILL_MAX_DIRECT_MEMORY from default 8G to 2G and run a huge hash join. 3. How to change spill directory. For MapR clusters, use MapReduce volumes or set up local volumes to use for spooling purposes. 3.1 Create a "spill" directory in "mapred" local volume for each node. 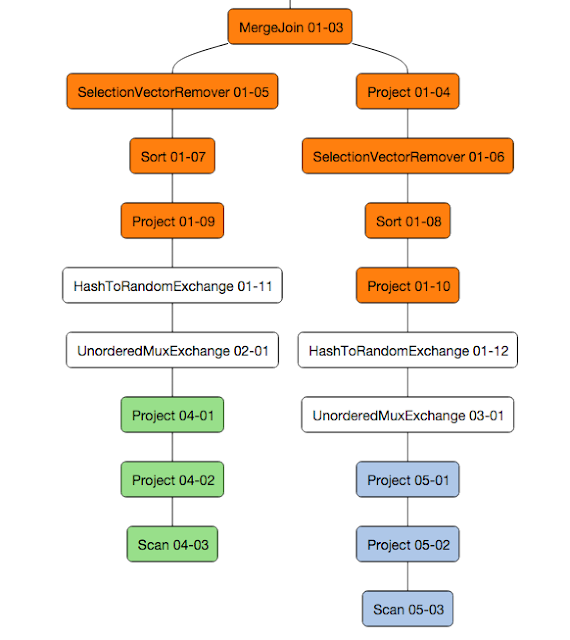 3.3 Run above sort-based operations to verify spilling happens in correct directory. How to control the file numbers of hive table after inserting data on MapR-FS. How to use Scala on Spark to load data into Hbase/MapRDB -- normal load or bulk load. Goal: This article explains what is the difference between Spark HiveContext and SQLContext. Goal: This article explains the configuration parameters for Oozie Launcher job. Goal: How to understand PageRank algorithm in scala on Spark. This article explains each step using sample data. OpenKB is just my personal technical memo to record and share knowledge. It may not be accurate, it may be out of date, it may be exactly what you want. © 2016 OPENKB.INFO ALL RIGHTS RESERVED.